Insulators work with a variety of materials to provide thermal insulation to pipes, tanks, boilers, turbines, chiller, heat exchangers, ducts, and hot and cold equipment. The work is indoors and outdoors and may require use of scaffolding, ladders, work platforms, safety and power equipment. – Safety practices on the job are essential. The Labor Management Cooperative Trust fund was created by the International Association of Heat and Frost Insulators and Allied Workers to promote the Mechanical Insulation industry's highly-professional work and state-of-the-art training. 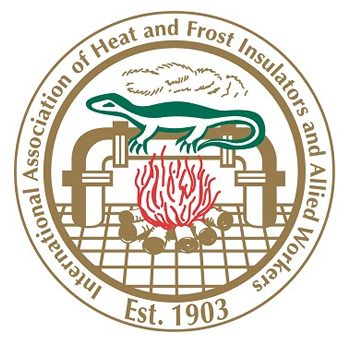 The members of the International Association of Heat and Frost Insulators and Allied Workers are at the forefront of an increased focus on the importance of properly installing Fire Stopping materials through standardized and proper design, installation, inspection and maintenance.